Preheat oven to 350°F. In a large bowl, toss together the blueberries, cornstarch, sugar and lemon juice. Spread in the bottom of a 9 inch pie plate. In the bowl of a food processor, add the oats, flour, brown sugar, white sugar and cinnamon. Pulse to combine. Add 8 tablespoons of the butter to the food processor and pulse until the mixture resembles large, course crumbles. 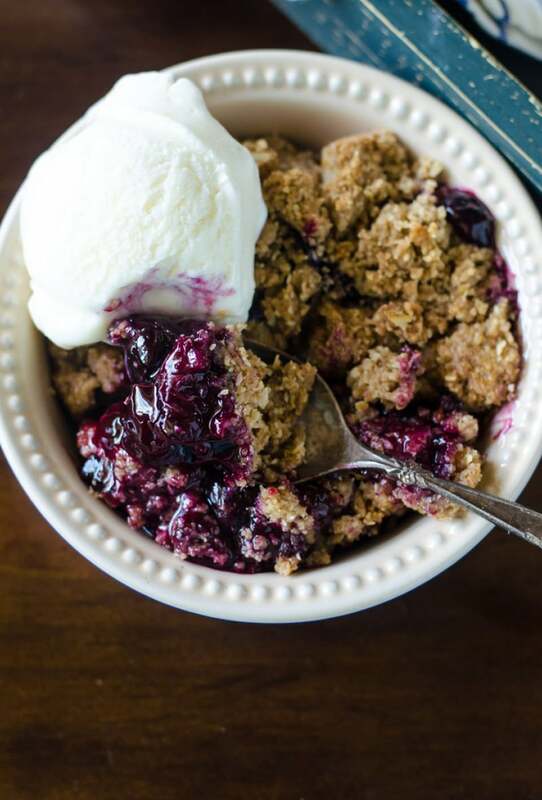 Spread the crumble topping over the prepared berries. Dot the surface with the remaining butter. Place on cookie sheet and bake in preheated oven for 45 to 50 minutes, until topping is golden brown. Cool to warm before serving. Serve it with a scoop of vanilla ice cream.